Do you know which the most integral part of buying a home is? Yes, it is the property registration. Registration of a property is very complex in nature among all other home buying processes. Even the smartest buyer can get confused with the paperwork and legal formalities involved in the process. Thus it is better to take the advice of from a real estate agent or a broker or a lawyer to ensure a tension-free registration process of under construction flat or ready to move flats. Here are some of the top tips to be checked before buying property in Kerala. “Register under construction flat to get a home loan”, Have you ever read this anywhere? Don’t get confused anymore. Yes, registration of under construction flat is possible to avail home loan. If you are sure to avail a home loan for your buying process, then banks insist for registration of flat before possession and it is important to register under subvention schemes. Let dive into the details of registering your new property at the right time. In earlier days, registration of under construction flats was a risky task. But now the scenario has totally changed. Actually, choosing an under construction flat is beneficial too in many ways. If you are planning to rent it out, for the living or for investment, it highlights only the benefits nowadays. Also read the best tips for low cost house construction methods in Kerala. Nowadays everything depends on the money you spend. So we can clearly say time is money. You need to spend less only if you buy a property before its completion. 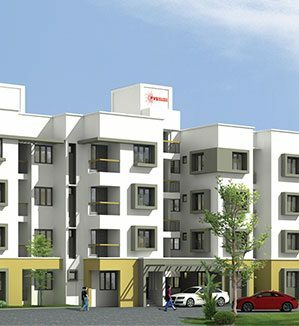 Ready to move flats are always expensive than under construction properties. If you are opting for an under construction flat, you can easily save 20-40% of your money. Also, the EMIs you need to pay monthly will be smaller since the loan amount you avail will be less. While buying a property, it is important to save even 1% of money an increase in 1% can be a huge amount while paying the monthly installment. Thus registration of under construction flat is better to save lots of overall costs. 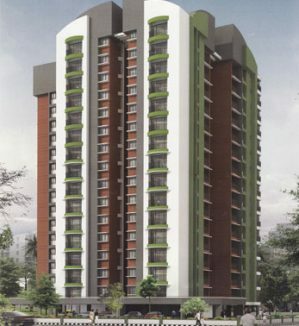 Buying an under construction flat is an excellent investment all the time. When you choose to buy an under construction property, you can get a profitable amount of money if you sell it in its completion stage. Also, if there are any faults in the facilities or amenities during under construction stage, the builders will carry out necessary requirements by paying the bill and you don’t have to worry about that. One of the main benefits of going for the registration of under construction flat is the implementation of RERA (Real Estate Regulatory Act). By this rule, there are fewer chances of being cheated by the builders. RERA is nothing but, if a builder fails to complete a project within speculated time, you will get the entire amount of money spent along with the interest. But the other side is that, if you approach a reputed builder you don’t have to worry about completion stage and its formalities. There is also a great benefit release by RERA that customers have to invest their money based on carpet area only and not for the super built area. Besides these, it is compulsory to deposit 70% of money by checks in a bank account which helps to decrease the risk of losing hard earned investments. To make it clear, you will never lose a single penny by investing in an under construction property legally. Check out the details about credai membership real estate. Many customers fear that buying an under construction flat is a risky job and the floor plan will never be the same after the completion stage. This is not true. It is your house and your design matters. A small change in the materials can make a huge difference in the quality. So when you are buying an under construction property you can add your opinions timely and efficiently as per your requirements in Vaastu. Also, if you are buying a flat from a reputed builder like PVS who is well-known for quality assurance, the chances of not meeting your expectations are zero. According to RERA, a property can’t advertise or sold-out unless registering with the regional regulatory authorities. Also, there is a rule that the builders must submit all the legal documents on RERA’s website after the registration process. This is quite beneficial to protect your hard earned savings. 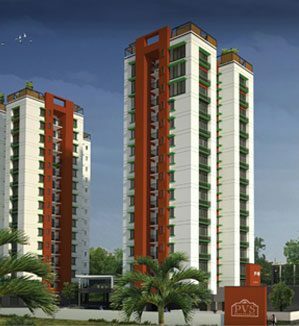 In addition to it, going forward for the registration of under construction flat helps buyers to demand builders to utilize their money in the right manner. If the construction doesn’t meet your demands, you can likewise file the complaint against the builder with the regulatory authorities. Get the details about low cost house construction methods. In a nutshell, registration of flat before possession is far better than after possession. Unlike registration of flat after possession, it helps to customize your dream home with all detailed requirements that abide with RERA regulations for a safe investment. Now that you are clear with all the benefits of registering an under construction flat, so don’t waste time to bring your dream come true moment in your life. If you decide to buy an under construction flat, here are some tips to keep in mind. If you are going to avail a home loan, then approach the home loan provider to know details of construction agreement value. Some banks don’t consider this value in order to calculate the eligibility of availing the home loan. If you come to know this after registering the property, you may be stuck. In such cases, you must arrange some extra amount equivalent to construction agreement value. So if you know this before registration, you can approach other home loan provider. Don’t register the property before home loan approval. Some buyers register from their own savings before home loan approval and the home loan might get rejected after registration. If a home loan is rejected by any bank, it is quite difficult to get the loan from other banks. So think and decide. Always go for under construction projects as it gives you immense benefits as discussed earlier. It was a high-risk job to register a flat before possession, but now everything has changed. Careful and detailed consideration is important while you opt registration of flat after possession or if you go for registration before possession. Banks require thorough documentation process, so there are many chances to get your loan rejected if in case of improper documentation. As we said earlier, poor documentation may reject your home loan. Here are the documents to be submitted to avail home loan for under construction flat. Share certificate and registration certificate of society. This is the legal document that involves builder, lender, and buyer. It details about the parties involved and keeps an eye on documentation. The home loan process for under construction flat is almost same for all private and national banks. It is mandatory to submit the original documents of the property to avail the bank loan. The first step in home loan availing is to submit the loan application online or by visiting the bank directly. Along with the application form you need to submit KYC (know your customer) documents like address proof, ID proof, income proof, job details, bank statement etc. Once you have submitted all the documents and application form, one of the representatives will verify all the details. If they are satisfied with the details, they will sanction your loan application and take it to the next step. After the verification of your financial status and other technical formalities, the next step is to submit legal documents and sign the agreement of housing loan. After the registration process, the bank will release the required amount of loan. Until you pay the loan completely, all the documents will be kept by the bank. Many individuals go for ready to move flats by thinking its quality and risk-free factors. But nowadays, with the rise of many trusted builders, it is quite advisable to go for registration of under construction flat too. Also, under construction flats are not less in terms of quality. If you can investigate more on location, project, price, the trustworthiness of developer and other terms, the under construction flats can offer high appreciation value than other projects. Invest in your dream home which grows in value over a period of time.